 Each academic year, the College of Arts and Sciences awards more than $1.5 million in scholarships. Whether you’re a current or incoming student, chances are good that you are eligible for some of them. Apply now for the fall 2014 semester — December 1 is the deadline for current students, and incoming freshmen must apply by December 15. Of the roughly 500 scholarships offered by the College, half are for freshmen and half are for current and transfer students. Three are designated for students who plan to study abroad. And then there are scholarships awarded by A&S departments. University-wide scholarships are also available to UA students, regardless of their college or area of study. Conveniently, all of these scholarships share one application, and it’s on myBama. To find it, log in at mybama.ua.edu. Select the Academics tab. From the Scholarships box, choose the appropriate link. When you apply through myBama, you will automatically be considered for all University-wide, College of Arts and Sciences, and departmental scholarships for which you are eligible. Send UA an official high school transcript and official ACT/SAT scores. Students who receive scholarship offers will be notified by letter in mid-March. To learn more about University of Alabama scholarships, visit scholarships.ua.edu. For detailed instructions for completing the myBama scholarship application, visit gobama.ua.edu/help/schol-app. For a complete list of A&S and departmental scholarships, visit www.as.ua.edu/home/advising/college-wide-and-departmental-scholarships. For answers to questions about A&S advising, programs, and scholarships, browse our frequently asked questions or contact the A&S Student Services Center.